The recent announcement of dates of the General Elections 2019 has lead to postponement of many examinations including national level competitive tests. The Election Commission of India has announced the dates for General Election on April 11, 18, 23 and April 29, 2019, as well as May 6, 12 and 19, 2019. From JEE Main to ICAI Chartered Accountant exams, check out this list. The Institute of Chartered Accountancy of India (ICAI) has rescheduled the Chartered Accountants (CA) examination which set to begin May 2. After the Election Commission announced the dates, ICAI rescheduled it to May 27. National Testing Agency has also rescheduled JEE Main. It was earlier announced to be held from April 7 to April 20 onwards. It will be now held on April 7 (Paper 2 – B. Arch/ B. Planning). However, Paper 1 (B.E/ B.Tech) will be held from April 8, 9, 10 and 12. This is the last time the exam is being conducted in 2019. The Common Law Admission Test (CLAT) 2019 has been rescheduled to May 26, 2019. CLAT 2019 Convenor and Vice-Chancellor of National Law University, Odisha Srikrishna Deva Rao. The examination will be conducted from 3 to 5 pm. The online registration process for the CLAT exam will be concluded on March 31, 2019. CLAT is the entrance gateway to the National Law Universities (NLUs) across India. The exam will be conducted by NLU, Cuttack (Odisha) this year. The Kerala Engineering, Architecture and Medical and Pharmacy Courses (KEAM-2019) dates rescheduled to be conducted on April 23 across 14 district centres in Kerala, Mumbai, New Delhi and Dubai. The Gujarat Secondary and Higher Secondary Education Board have changed the date for the Gujarat Common Entrance Test 2019 (GUJCET) 2019 exam. Earlier the exam was scheduled to be conducted on April 23 which coincided with the date of General Election 2019. Now, the exam has been scheduled to be held on March 26 (Friday). “With the election date coinciding with GUJCET we have decided to change the date. Being a holiday, the new date could not be worked out yet. It will be done in a day or two,” Education Minister Bhupendrasinh Chudasama told The Indian Express. Not just entrance exams, many recruitment exams have also been rescheduled. The Andhra Pradesh Public Service Commission (APPSC) has changed the dates of the preliminary exam for the group I services. The recruitment exam to fill grade-I level169 posts was earlier scheduled to be held on March 31 and will now be conducted on May 26. The Mahatma Jyotiba Phule Rohilkhand University, Bareilly has postponed the exam dates of B.Ed JEE from April 11 to April 15, 2019. The exam is conducted to secure admission in B.Ed courses in state-run universities, colleges or institutes. The exam dates of VITEEE, the common entrance exam for admission to all Vellore Institute of Technology (VIT) have been rescheduled on the pretext of Lok Sabha elections. The VIT exam will be conducted from April 10 to April 21, 2019. The notice is uploaded on the official website – vit.ac.in. 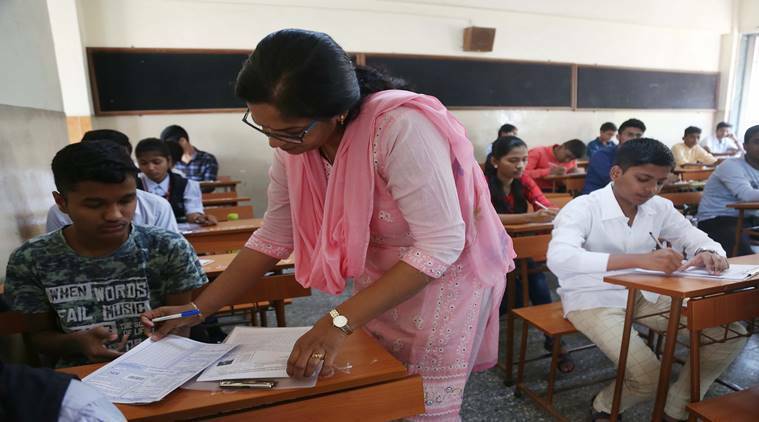 Candidates will be allowed to book a slot or seat for examination from March 28, 2019, according to the official notification. The Postgraduate Institute of Medical Education and Research (PGIMER) has postponed the entrance examination for the MD/MS entrance exam due to the General Elections 2019. The exam was scheduled to be conducted on May 12 which now will be conducted on May 26, 2019 at 10 am. The Magadh University has postponed the exams for undergraduate courses including BA, BSc, BCom on the pretext of General Elections 2019. The exams for the second-year students were to begin from March 18 which now will be conducted from June 8, 2019 onwards. The detailed exam schedule or datesheet is yet to be released on the official website.